Jim Holden is the third generation of his family living and growing up in Africa. His children are now the fourth generation. Jim’s grandfather first went to Kenya to prospect for diamonds. He then joined the colonial administration in Zambia. One of his first tasks was to help stamp out slavery in the northwest region of Zambia. And in later years, Jim’s family helped establish some of Zambia’s foremost wildlife reserves in the Kafue and Luangwa National Parks. On Jim’s mother’s side of the family, his ancestors arrived in South Africa in the 1820s, as part of what has become known as the 1820 settlers. They were sent out from England in much the same way as the early settlers set out for America on the Mayflower. Today, Jim has a close network of family and friends throughout the safari regions of Africa. This network enables him to plan and deliver authentic and exceptional safaris. Jim is passionate about helping people realize their dreams of visiting Africa. He is especially keen to share those unique aspects of Africa that deliver the same authentic safari experience that his family have taken for granted for four generations. I’m excited to share the wonders of Africa and motivate you to take your dream trip on our exclusive “off the beaten path,” life-changing Holden Safaris. My own adventure started at the age of three months, when my Danish mom and English dad decided to raise me in Nigeria, West Africa. 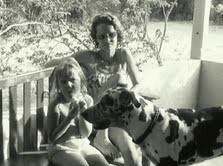 There I grew up with a Great Dane by my side and my love for Africa blossomed. When I was six, we moved to Paris, and I continued my education in England. After working in Scotland, Belgium and France, I decided to pack my bags and start a second chapter in my life in California. My third life-changing adventure brought me back to Africa in 2015 when I joined the Peace Corps, and volunteered, teaching orphans and vulnerable children in the Mountain Kingdom of Lesotho. I returned from my service in January 2017, and knew that Africa was back in my blood. 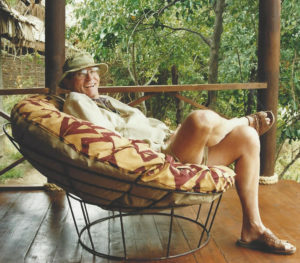 Here at Holden Safaris, Jim Holden and I will help you plan your "own" Safari, based on what interests you. Whether it's your first time to Africa, or your or 3rd, we will help you plan an authentic African adventure. Angela was born in the UK and travel has been in her blood from an early age. 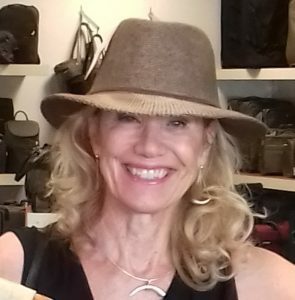 Throughout her 30 + years in travel, she has held various positions in agencies and tour operators, and has had her own travel marketing company for 10 years. She has traveled to over 35 countries worldwide, and some of her most favorite places are in Africa where she has been on safari in Kenya, Tanzania, South Africa, Botswana, and Zambia. “No matter how many times you venture into the wild on game drives, the experience is always different and never disappoints,” says Angela. She is extremely pleased to be able to contribute to Holden Safaris. Vivienne Holden has had more than 20 years’ experience in the hospitality industry, including tourism and event management. Among many other achievements, she played a significant role in getting the City of Durban ready for the 2010 FIFA World Cup and in ensuring the accompanying events were successful. 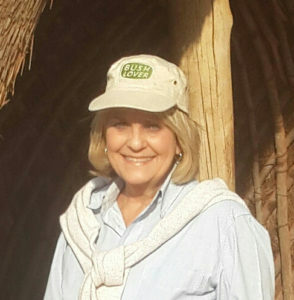 She also has a wide knowledge of game parks and World Heritage Sites in South Africa, Namibia and Botswana, as well as South Africa’s famous battlefields, Cape winelands and urban tourism destinations. Permanently based in Durban, Kwa-Zulu Natal, South Africa, she and her Holden Safaris Africa support staff will be available to ensure your ‘African experience’ is everything you hoped it would be, wherever it takes you.